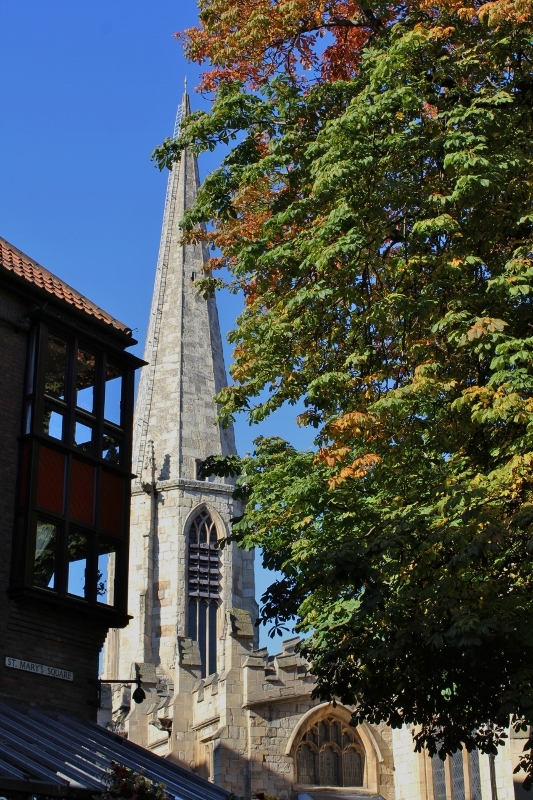 The leaves are just starting to turn to autumn colours on this lovely old tree in the centre of St Mary's square. Our world would be a much duller place without trees. Lovely sky too, and contrast of colours Deb. Great shot with that blue sky! It is a beautiful photo.